Welcome To Hill & Lowden, Inc.
Rich Hill and George Lowden have over 55 years experience in yacht sales and brokerage between them. Over the years, they have represented almost every sailboat line ever built as well as several powerboat lines. Between the two of them, they have completed a four year circumnavigation, cruised extensively along the East Coast of the United States, and won many Marblehead and Massachusetts Bay racing championships. Hill & Lowden, Inc. is the J/Boat dealer for Massachusetts and New Hampshire, offering the full range of new J/Boat performance sailing yachts. They also have numerous pre-owned brokerage listings, including quality cruising sailboats, racing sailboats, and a variety of powerboats ranging from runabouts to luxury cabin cruisers. Unparalleled product knowledge combined with extensive hands-on experience make Hill & Lowden, Inc. an excellent resource for buyers and sellers alike.They have been members of YBAA (Yacht Brokers Association of America) since the late 1970's and have earned the trust of thousands of clients over the years. Whether you are a sailor or power boater, they will help you find you the boat of your dreams, and/or expedite the sale of your current vessel. They look forward to working with you. HILL & LOWDEN, INC. IS CONTINUOUSLY SEEKING PRE-OWNED YACHT LISTINGS. 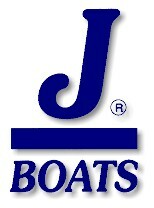 GIVE US A CALL SO WE CAN DISCUSS THE SALE OF YOUR BOAT! One of the last and most evolved 160's built, “Heron” benefits from the countless refinements from earlier models and from extensive owner driven customization. Her knowledgeable owner added well-thought-out improvements during many factory visits. Carbon spars and power primaries enhance ease and safety of coastal and offshore cruising performance. Validation came with Heron’s 2nd place finish in Class A of the Marion Bermuda Race --without any sail changes, spinnakers or professionals! You will find no sweeter helm than Heron’s with her carbon wheel and custom rudder bearings. Her refined interior is gorgeous and comfortable for full time cruising. Come and relish the comfort, style, capability and performance of this fabulous 160.